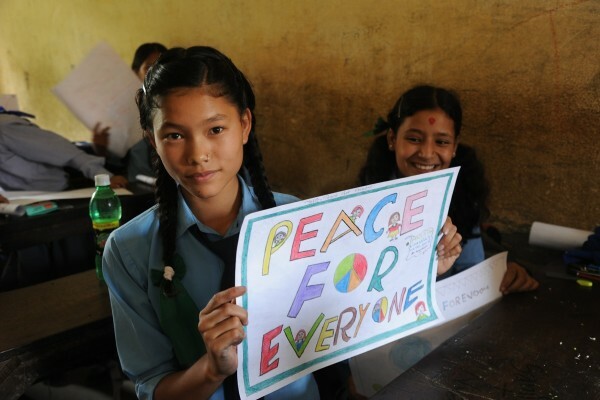 For the second year, UNRCPD engaged Nepali schoolchildren on the subject of peace and challenged them to reflect on what it means to them in their lives. 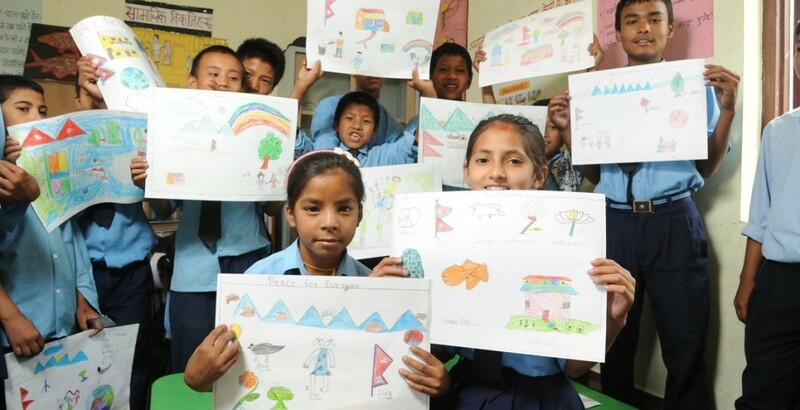 The 2013 Children’s Art Competition, with a theme of ‘Peace for Everyone’, took place at 12 Kathmandu Valley schools this summer. 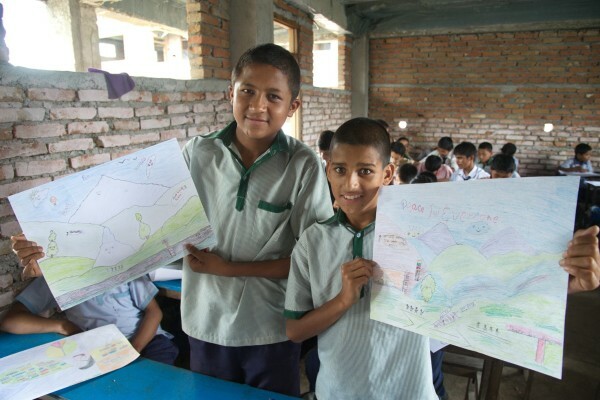 Students compare art in the 2013 Art for Peace competition. Click photo to see event gallery. The schools invited UNRCPD into their grade 5-8 classrooms to lead thought exercises on peace and conflict. The children were then asked to think about how peace is important for them, their families and communities. The results were 900 colourful and creative expressions of their ideas through art. A partnership between the District Education Office, school principals and teachers, and UNRCPD provided a fun and creative opportunity for children to share ideas through artwork, which is not normally offered during school hours. During the competition, UNRCPD staff and volunteers had an opportunity to engage with children directly, participating in thought exercises and sharing information on the United Nations. 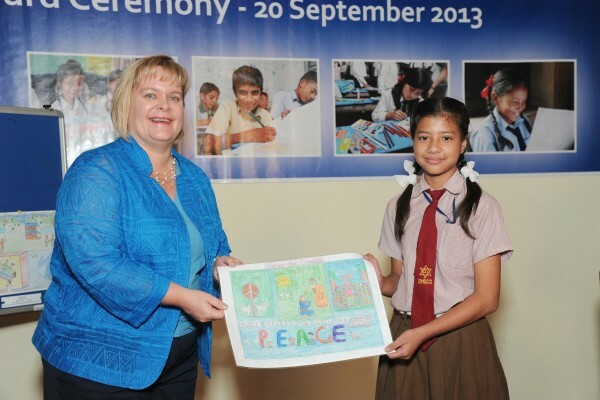 UNRCPD Director Sharon Riggle and Renuka Shrestha, age 11, winner of Art for Peace 2013. Click photo to see event gallery. Students and schools vied for prizes awarded to three finalists and one winner whose drawings were chosen based on creativity, composition, theme and technique. Winners received drawing materials and small stipends towards education, and all schools received prizes. An awards ceremony was held on 20 September, correlated with International Peace Day, to hand out prizes with UN and school officials in attendance as well as local media. 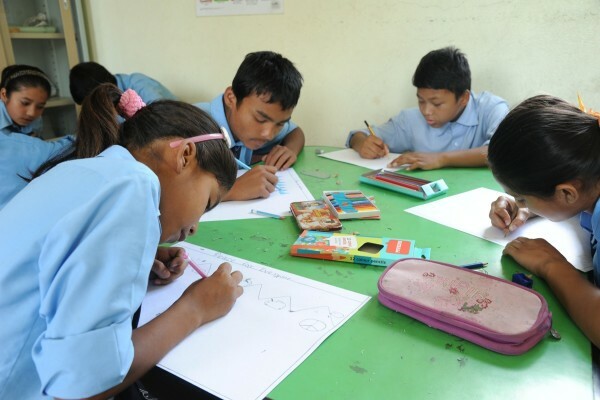 Next year’s competition will be merged with a UNRCPD pilot project on peace and disarmament education for school children in Nepal. The aim of the project is to include peace and disarmament information in school curricula and to provide tools for dealing with conflict in a non-violent way. See more photos from the competition as well as the award ceremony here.